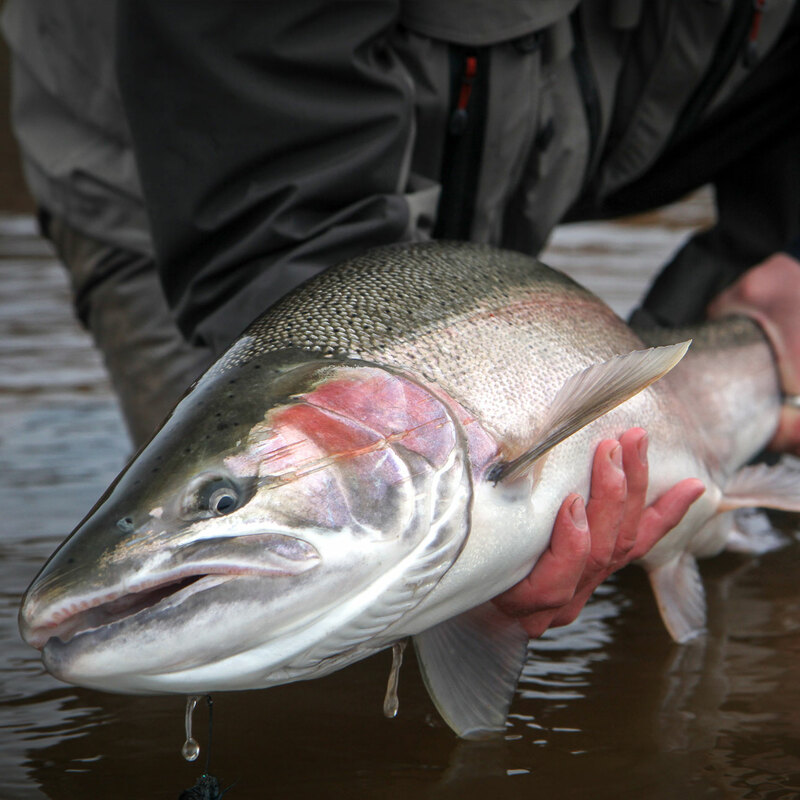 Kamchatka is the only place on the planet that hosts all six species of Pacific salmon, including the masu or “cherry” salmon. 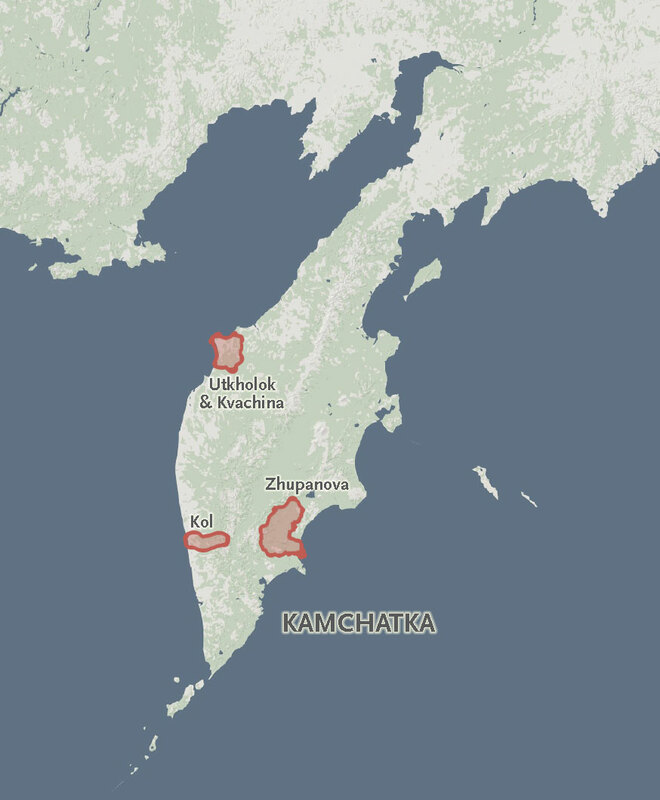 Estimated number of sockeye in Kamchatka’s Lake Kuril, the largest freshwater nursery of its kind in Asia. 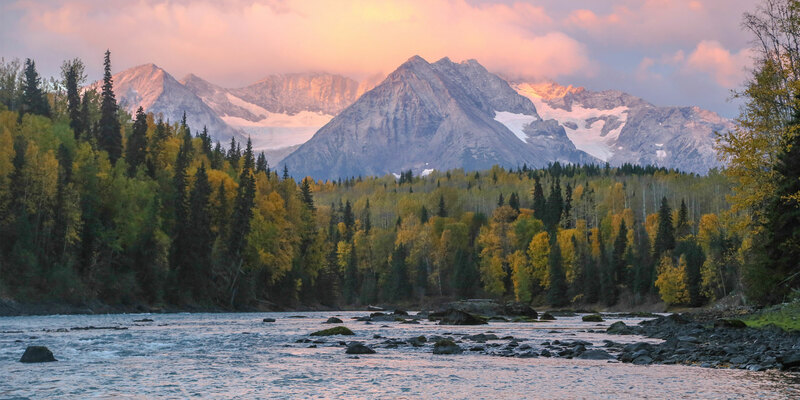 In the early 1700s, the Bering expedition explored the Kamchatka Peninsula and gave local indigenous and Russian names for newly identified salmon species, which were eventually adopted by the global scientific community. 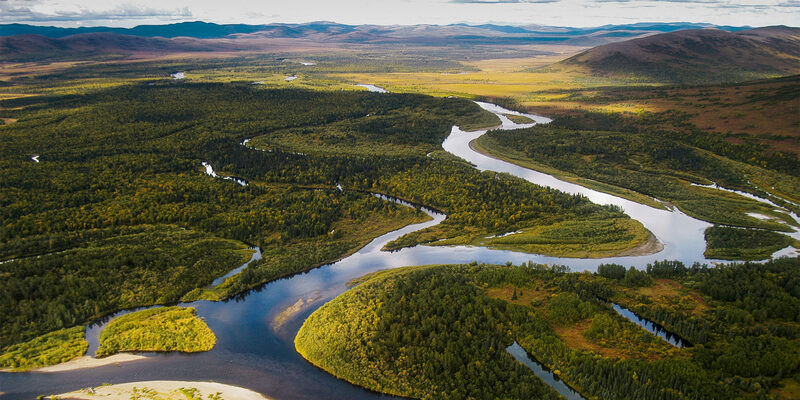 Stretching the same length of California but with just over 300,000 people, the Kamchatka Peninsula contains a vast network of wild salmon, steelhead, and trout rivers that remain virtually unaltered by human development from headwaters to the ocean. 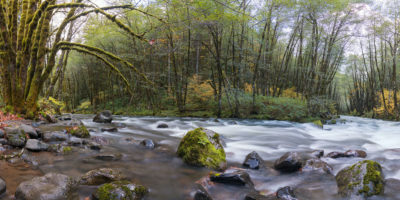 On the west coast, the Utkholok and Kvachina are exceedingly remote and utterly unique in the steelhead world: they are the only places in Asia to find a dime-bright Oncorhynchus mykiss. These fish are heavily built and wilder than their North America counterparts. In southeast Kamchatka, the volcano-ringed Zhupanova represents one of the great remaining rainbow trout stongholds in the Pacific. 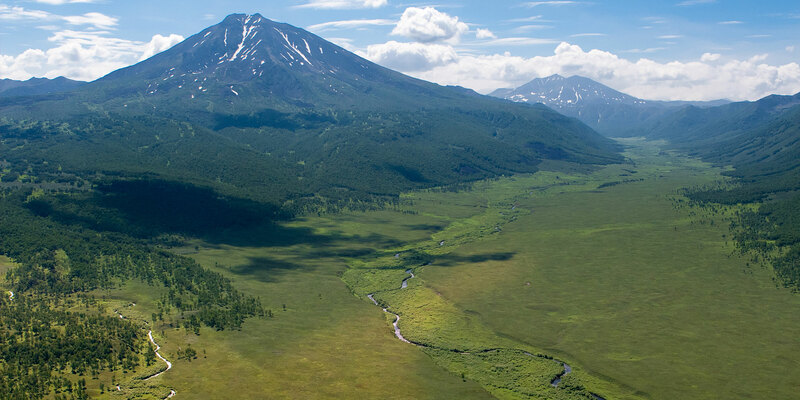 Despite its remoteness, Kamchatka faces threats from poaching and development driven by natural resource extraction and an entrenched black-market caviar trade. 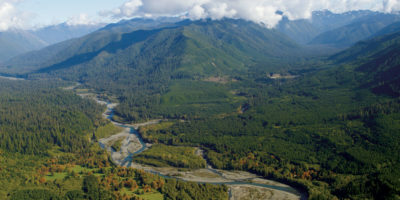 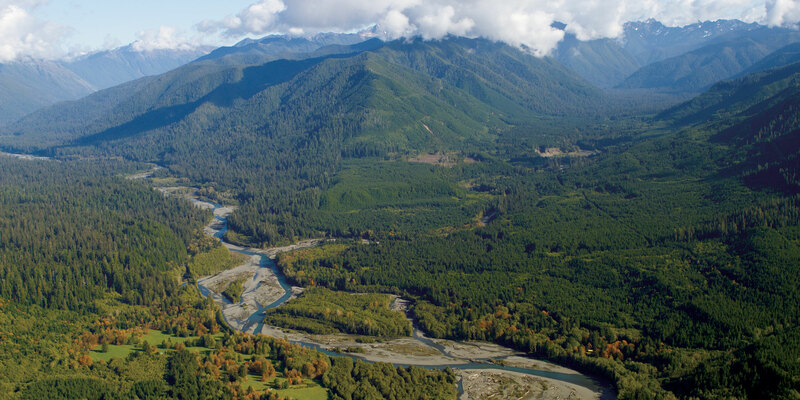 Historically, the Wild Salmon Center has worked with local scientific partners including Moscow State University and local environmental champions to help develop watershed-wide protected area plans—including the 550,000 acre Kol Salmon Refuge, established in 2006. The Stronghold Fund will help advance partner-based work in Kamchatka by supporting new sport fishing and science programs, habitat protection efforts, and education and outreach opportunities for Kamchatka’s communities that convey the economic and ecological importance of river conservation. 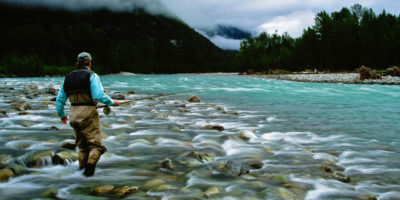 Kamchatka’s wild fish abundance can be seen most remarkably in the Kol River, where all six species of Pacific salmon join three species of ocean-going trout and char.